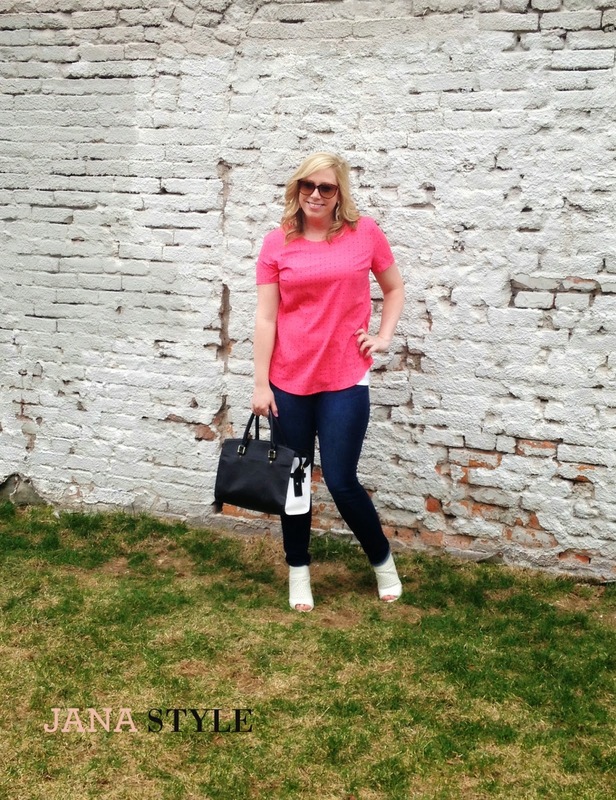 A sunny spring day spent brunching with other bloggers is always a good day! 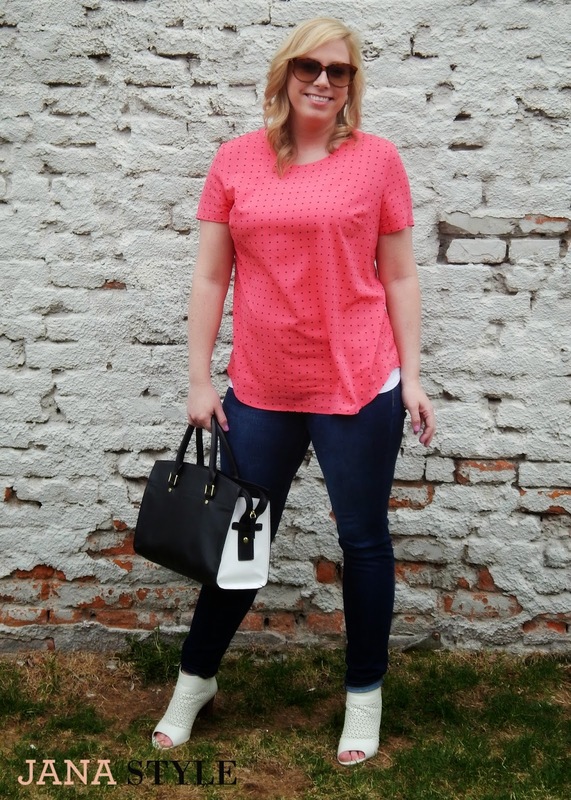 The exhaustion from Go Blog Social weekend had definitely set in by the time I made it to the Pepperologie Brunch, but I was not going to let it keep me from having a good time! 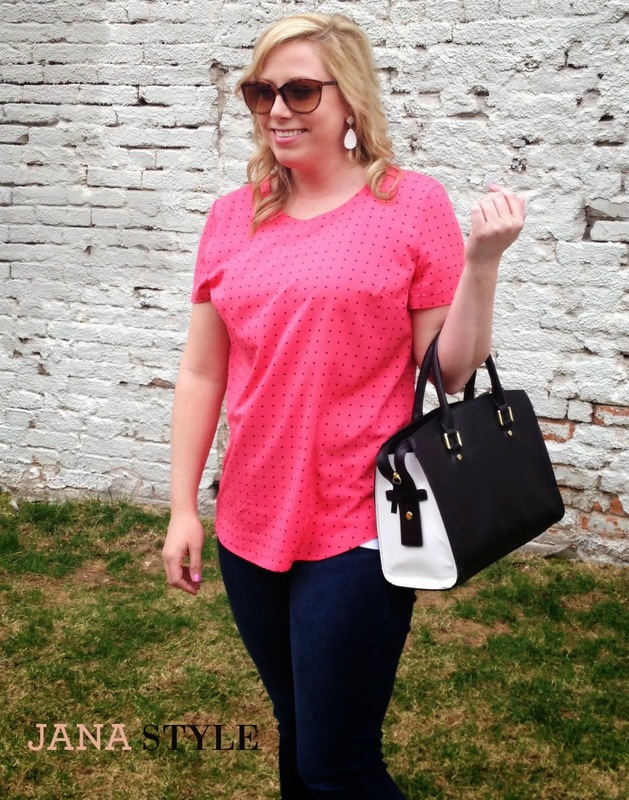 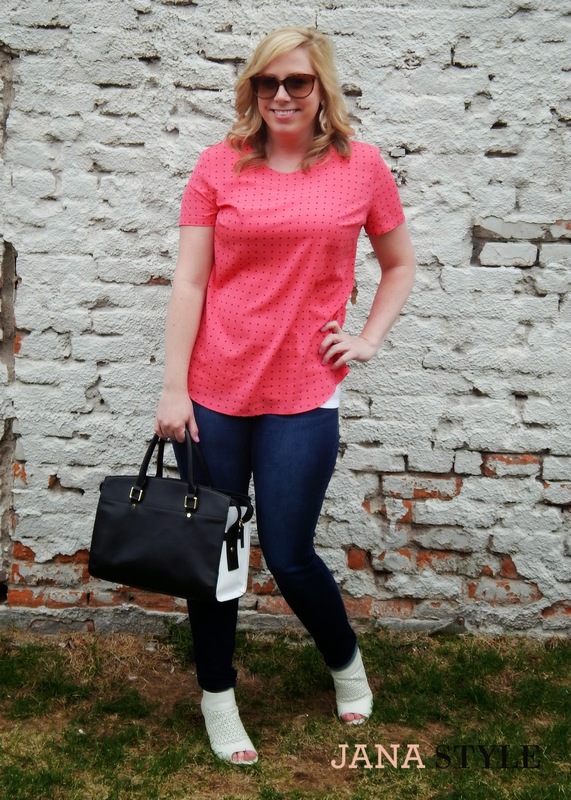 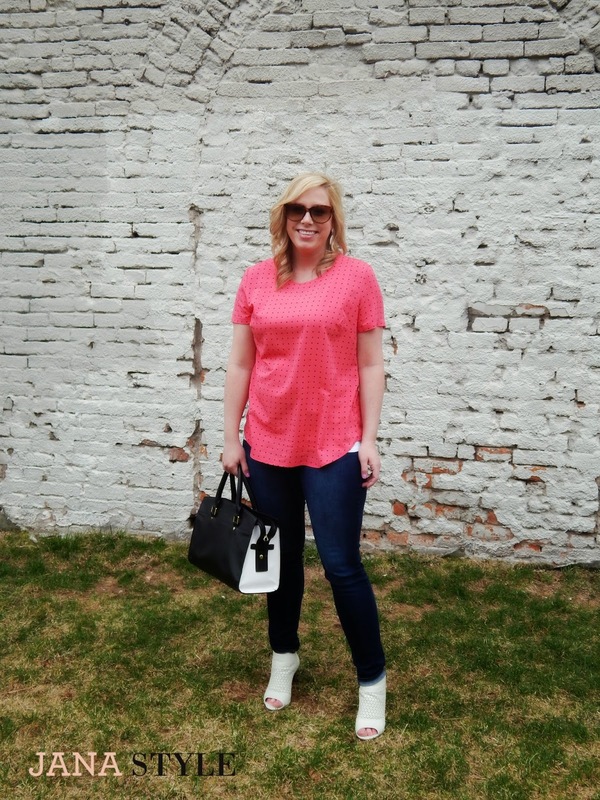 I made it to brunch right on time and tried to keep my outfit simple and comfy with this pink polka-dot top and my favorite skinny jeans.